Amato played a key role in executing Metaldyne's merger. Thomas Amato, co-president of powertrain components supplier Metaldyne Performance Group Inc., will step down from the position at the end of the year, the company said today. 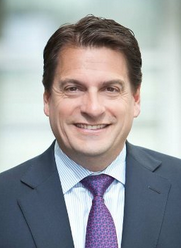 Amato, 52, was named chairman and CEO of Metaldyne LLC in 2007, leading the company through a 2012 acquisition by American Securities LLC and a merger with Grede Holdings LLC and HHI Group Holdings LLC in August 2014. The combined entity, MPG, was listed on the New York Stock Exchange in December 2014. The company said Co-President Douglas Grimm has been named president and COO, while Russell Bradley was named executive vice president of sales. “Doug and Russ are both highly-accomplished industry executives and have been instrumental in leading their legacy companies’ growth over the past decade,” MPG CEO George Thanopoulos said in a statement. Metaldyne is ranked 79th on Automotive News’ list of top 100 global suppliers with an estimated $2.5 billion in 2014 sales. The company, which provides components for powertrain and “safety-critical platforms,” employs 12,000 people globally and is headquartered in the Detroit suburb of Southfield, Mich.